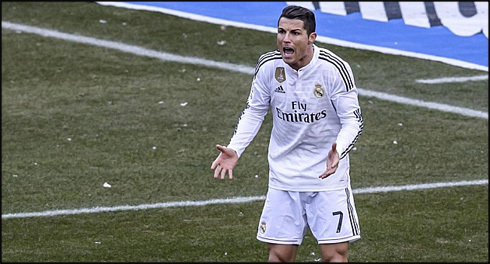 Real Madrid's 22-win streak came to an end right after their first game of 2015 and the truth is that ever since that happened, the team seems to have started struggling in many aspects of their game. What went wrong? Is it merely a tactical dilemma? How important were the injuries in the team's dip in form? Last week Saturday wasn't merely a bad day at the office for Real Madrid, it was an absolute abomination. Truthfully, Diego Simeone has figured out Real Madrid and in every game against Atletico, it becomes even clearer that right now the Merengues have a snowball's chance in hell of beating the Colchoneros. That aside however, Saturday's loss wasn't just symptomatic of our inability to beat our cross town rivals, it was the opening of wounds that have remained hidden under the surface for months. We should be happy this happened in February, when we can still address the problems. Carlo Ancelotti is going to have to find a way to adapt to the 4-4-2 and this may require benching one of the BBC, or really imposing harsher tactical restrictions on some Ronaldo and Bale. This team works best in a 4-4-2 and it's clear as day. Last year, the midfield three worked primarily because the roles were much tighter. Xabi Alonso, though not overly mobile, was the fulcrum of the team, babysitting the defense. Angel Di Maria's ingenuity and hard work in the center of the park basically gave him the role of two players, which in turn kept the balance. And of course, this allowed Luka Modric to run rampant in the center of the park. It was perfect synergy. Funny to look at our midfield now and notice that none of those three players are currently playing. The best moments so far this season occurred with the 4-4-2. The 3-0 demolition of Liverpool and the 3-1 win in "El Clasico", are prime examples of this. The team looked fluid, they passed the ball around well and most importantly, they won the midfield battles. Does this mean Bale has to hit the bench? He would seem the most likely candidate, but in the wake of James Rodriguez's injury and Madrid's lack of depth, it's very unlikely to happen. Not to mention Bale's price tag and status as a Galactico. Still, though the Welshman may not always have the best 90 minutes, he's always capable of producing moments of pure brilliance. 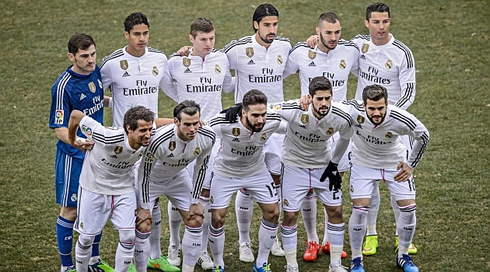 It's not all doom and gloom however, but Real Madrid will have to figure it out. The 4-3-3 doesn't seem to be working and sacrifices will have to be made if we are to win anything this season. Will Ancelotti be brave enough to change things around and potentially hurt some egos? Or will we be forced to watch and hope that, somehow, the 4-3-3 magically works, despite all evidence to the contrary. And how will a shorthanded squad cope when the games start coming quick and fast? For a season that went so magically for so long, this team is in danger of coming apart at the seams. 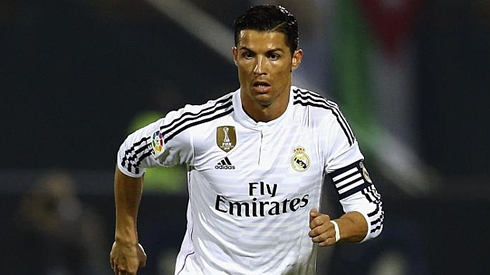 Cristiano Ronaldo next game will be for the Spanish League against Deportivo La Coruña, on the 14th of February of 2015. You can watch Juventus live stream, Real Madrid vs Deportivo, Barça vs Villarreal, Manchester United vs Burnley, Chelsea vs Everton, and Stoke City vs Man City, all matches provided from our soccer live section.